As most of you are aware, I have two E9X BMWs, an E92 2009 328i and an E90 2011 M3. What you might not be aware of is the fact they are optioned differently. Comfort access was selected for my M3, but not for my 328i; as part of this package you get touch sensitive handles and key-less ignition, meaning you don’t have to take you keys out of your pocket. 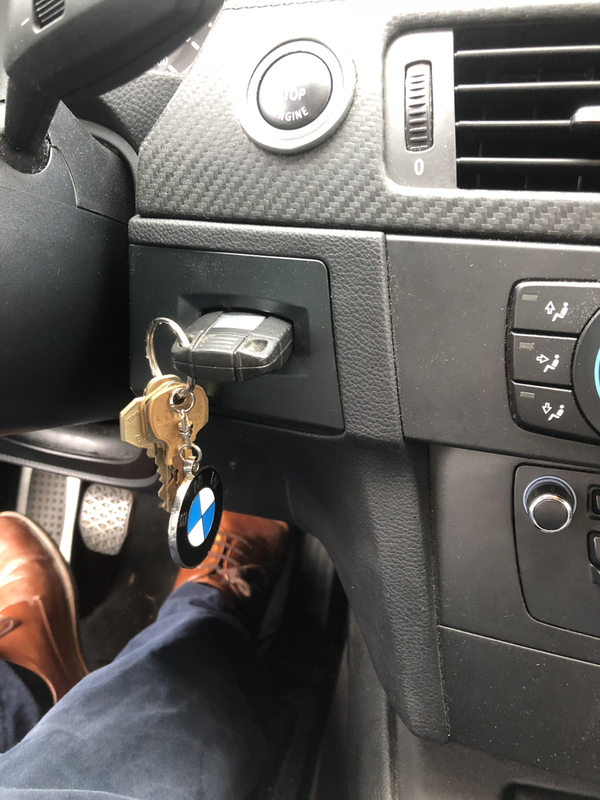 Normally I don’t have to think about it because I seldom drive the M3 to work, so if I’m going to work or if it’s a weekday, keys come out of my pocket. Today is different I drove the M3 to work because the 328i was eating its front tires. I was aware of the issue and knew the 328i needed an alignment, but since I was going to put new tires on soon, I decided to just drive it as is. On Thursday evening I noticed some canvas showing on one of the tires, so I parked it. While the 3 is getting some new to it rubber put on today, I took the M3 to work. The reason they’re not brand new tires is because the fact I took them off the front of the M3 and kept them when the M3 got new tires earlier this year. Anyways, without even thinking about it, apparently, as a force of habit, I had put the keys into the M3 ignition without realizing it. I looked down about half way to work and saw the keys in the ignition, and couldn’t remember doing it. Every now and then I catch myself doing something like this because even through both my cars are E9Xs, they’re slightly different.